In a post-Mouseketeer world, teenage pop sensations trend heavily towards the faux-innocent and inauthentic; of these, though many artists who rise too early fade into obscurity just as quickly, others, from Justin Timberlake to Miley Cyrus, manage to grow into adult artists who take claim of their own artistic output and their fame. But just as the halls of the high school where I teach hide small pockets of moody geniuses struggling to master their own expression, anomalies exist in the world of the popular. And the best of these teenage artists emerge early: 16 year old New Zealand sensation Lorde, for example, whose recent hit Royals found double coverage in our YouTube Top 40 acoustic coverset last month, is just beginning her career, but the coy determination she brings to her songs of self-sufficiency and salvation seems a strong indicator of future success. 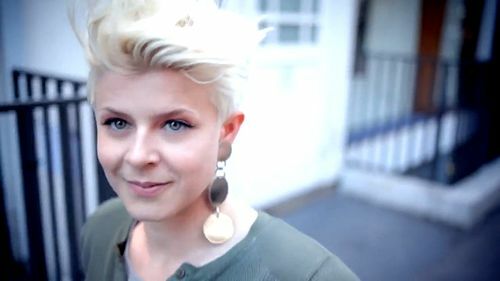 Those looking for a poster child for the homegrown authentic able to play the airwaves with authenticity from the get-go need look no further than Swedish dance-pop artist Robyn, who hit the international scene at the tender age of 18, when her singles Show Me Love and Do You Know (What It Takes) reached the top ten on the Billboard Hot 100. Today, as part of our ongoing mandate to celebrate the authentic in all genres through folk coverage, we present our favorite acoustic and folk covers of this well-deserving feature subject. 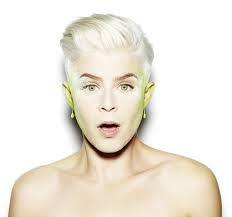 Like many young pop phenoms, Robyn (born Robin Miriam Carlsson) was a rising star in childhood. The daughter of two stage actors, her voice-over and stage work began at age 9, and she recorded her first television theme song at 12; she was discovered that same year by Swedish pop sensation Meja during a school-based music workshop, and signed to RCA Records at 16. Two years later, after her major label debut Robyn Is Here caught fire, slamming her into the global spotlight, Robyn returned to her native Sweden exhausted. For her next two albums, the autobiographical My Truth and 2002 pop-slash-R&B release Keep This Fire Burning, she and her team decided to skip an international release, in order to maintain her health and support a healthier, more cautious development as an artist. But the release of her self-titled 2005 electronic dance album made a low profile impossible. And with a Grammy nomination in her pocket, Robyn finally took her place on the world stage again, with appearances across the globe. Now in her mid-thirties, the outspoken Robyn has established herself on the world stage as an artist of talent and poise with a clear-headed vision that is as decidedly post-feminist as it is postmodern. 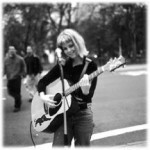 And although her studio output is sparse – officially, she has released just half a dozen albums, with an average of one new record every four or five years – the process and product which this body of work represents speak to a carefully tendered craft and a deliberate, well-managed sense of self that shines through her songbook. Robyn is no stranger to coverage – her covers of Kelly Clarkson’s Since U Been Gone, plus songs by Bjork, Alicia Keys, Prince, and Coldplay, reveal a sensitivity to the depths and beauty in the works of her Top 40 peers. And the world of the popular responds to Robyn, too: see, for example, Wakey Wakey’s anthemic gender-bent piano pop ballad version of Call Your Boyfriend, and Noah and the Whale’s grungy 2011 take on the same, or Kings of Leon’s recent alt-rock take on the equally well-covered Robyn hit Dancing On My Own, which turns the song on its ear, drenching it in hard-edged No Depression guitar wails and slow drumbeats. As with so many of our Covered In Folk featured artists, stripping the synths and heavy beats from Robyn’s songbook reveals a surprisingly melancholy, pensive catalog, chock full of coherent narratives about gender politics and heartbreak at the margins of modern identity – making her work particularly attractive for those who would transform it. Our Covered In Folk collection kicks off with a brand new recording from CLD fave second-generation singer-songwriter Lucy Wainwright Roche, which debuted this week on new album There’s a Last Time for Everything, and moves on to covers from popfolk sweetheart Ellie Goulding, Pennsylvania singer-songwriter Brittany Ann, Texas singer-songwriter Sarah Jaffe, artistic polymath Aeryn Martin, and more. Listen, enjoy, and – as always – pursue the paths of those whose sound and sensibility appeal to your own tastes, the better to sustain art and artists that speak to, for, and within our communities. It came on slowly, back in May; stress would bring on stomach pain, and it could take hours for her to recover. By last week, my once willowy elderchild had lost 20% of her body weight; she was starving, but she said that she was afraid to eat, because it hurt her. And her doctors agreed: it was time to get some cameras in there, to see if we could figure out what the hell was going on. It was still dark when we arrived at the hospital this morning. It was bright when we left. It didn’t seem fair. There are worse things to hear, I know. But when a doctor has to make it a point of turning you away from the bed to tell you that your daughter will still be able to have children, and lead a normal life, and then starts her next sentence with “but…” it’s time to accept the fact that things have changed forever. The tentative diagnosis is an autoimmune disease; it has a name, and its own foundation. Her medical team is sure enough for now to be putting her on pills, and seem carelessly unaware of how much pain they’re threatening her with when they suggest she can begin taking them four times a day, with food, right away. And although we’ve been told that she’ll be able to manage her condition with a combination of careful dietary habits and medication, if the doctor confirms her initial diagnosis when test results return on Wednesday, my daughter will spend the rest of her life teetering on the edge of pain. My first child has been lucky enough to live to her eleventh year experiencing personal illness as a temporary state; in her heart and mind, there’s always been time and tides, Mama and medicine to make things better. Now, I see the growing realization in her eyes when she asks for a sandwich, and we suggest soup. I see the way the horror rises, and is quickly swallowed, so it does not come out to haunt her. I am proud of how brave she has been today, and how prescient. 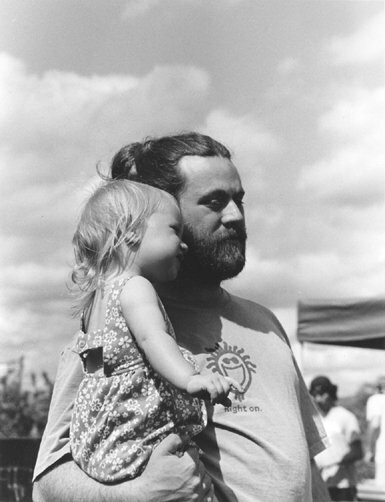 My daughter is like me: we seek to understand the world, and we come to our realizations quickly. Rough seas sparkle on the horizon, and she can see them, too. But like any parent who discovers that their child will be forever hurt, I’m hurt, too. We give so much to our children. We ply them with care and attention; thoughtful answers; gentleness; structure. We model and talk about the values that are important to us, so that they might develop generosity, curiosity, an appreciation for beauty and joy. We give them the safety of our homes and bodies, and the promise of bottomless, enduring, unconditional love. But solace is not succor; bad things happen to good people, and there are some things we cannot give. And so I practice the gift of withholding, saving my tears for the other side of the doors and walls that keep me from her side. I will never again tell her that everything will be all right. But together, we will find other ways to soothe. I will carry her forever. And we will soldier on, determined and courageous, our fingers entwined, and our heads held high.